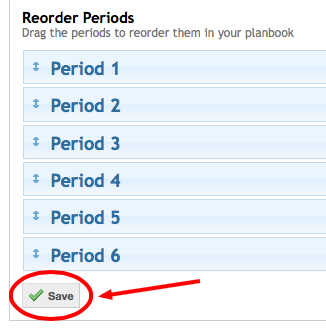 To reorder your periods click on "Planbooks" in the blue navigation bar. Click on "More" and you'll see a menu for additional options. 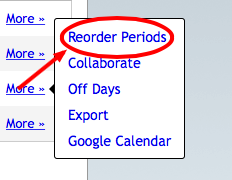 A list of your periods will open and you can drag them to any order you like. Be sure to click "Save" when you are done.